Relying on paper or email communication just seems better. Paper forms and emails may be outdated, slow, and cause “email fatigue,” but some schools believe they’re more reliable or just plain better. 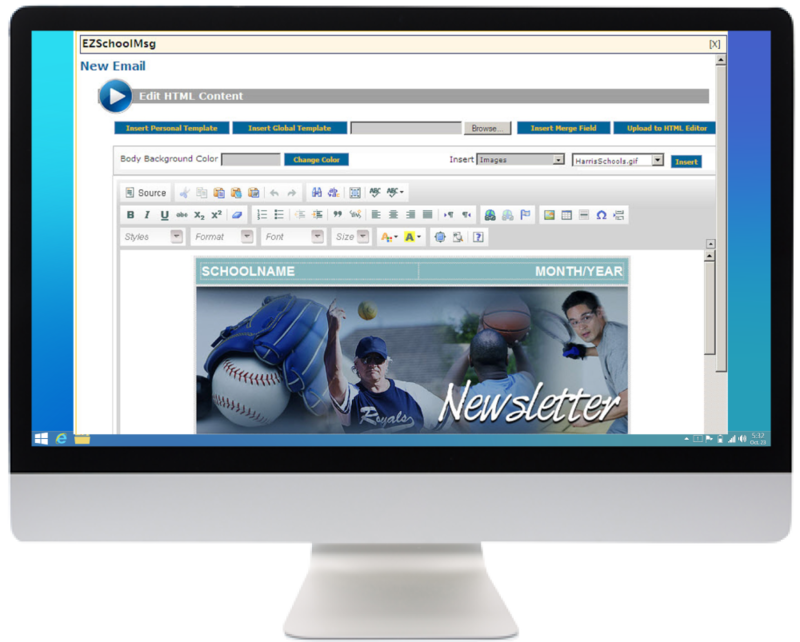 EZSchoolMsg.com solves this by letting you transmit important updates with the speed and efficiency of an advanced digital system, while offering additional analytical insights so you can adjust and adapt to what parents want. It’s not that parents don’t want to get involved; it’s that the obstacles to doing so are too great. EZSchoolMsg.com fixes that by putting all the information parents need conveniently into a single, well-organized app with helpful tools, thereby fostering a stronger, more effective parent-teacher relationship that will better enable students to achieve success. With EZSchoolMsg.com, all messages are 100% secure so you never have to worry about sensitive information getting exposed. Manual messaging procedures take up too much time. 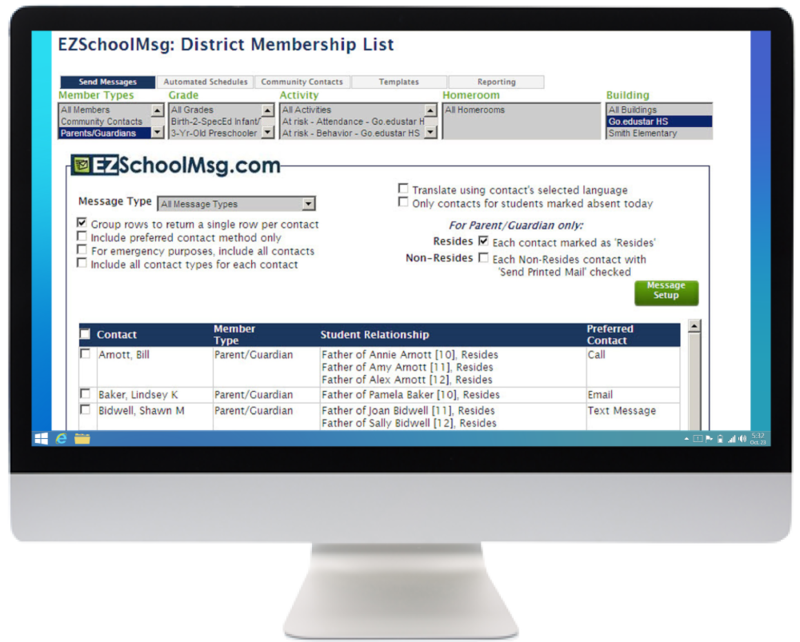 EZSchoolMsg.com automates and efficiently communicates any message you need to send, saving time for parents, teachers, and administrators alike. Schools are complex. Messaging shouldn’t be. There are a million reasons you send messages across your K-12 school district, from fundraiser solicitations and field-trip updates to weather delays/cancellations and emergencies. But if you have a different communication method for each of those occasions, you likely are struggling in a number of ways. Scattering information across multiple channels, which creates a disorganized communications mess. Entrusting students to get important news to parents. Wasting time relaying updates through too many intermediaries (e.g. phone chains). Creating inaccuracies caused by keeping multiple contact lists. Risking the exposure of sensitive information. Neglecting to build a genuine parent-teacher relationship. You’re already dealing with complex situations, and these communication challenges only compound the problem. That’s why you need a simple, efficient way to communicate. It’s why you need EZSchoolMsg.com. EZSchoolMsg.com is the web-based mass-notification system that produces and distributes custom messages for immediate or future delivery. Organizes all messages into a single app with configurable communication channels. Saves time by getting important updates directly to the people who need them, reliably and without intermediaries. Secures all your messages so your sensitive information stays safe. Reduces errors by seamlessly integrating with go.edustar to automatically sync contact information. Enhances relationships between parents and teachers. Bolsters your emergency response process. Absence alerts reduce truancy and tardiness. Translation to 57 languages gives you greater reach and added effectiveness. Automated messaging increases staff productivity by eliminating manual messaging procedures. Self-contained platform saves you from purchasing additional hardware or software. Seamless integration with go.edustar automatically syncs your contact lists. Provides real-time reports with detailed message-delivery analytics. Supports multiple users per school/district. Creates smart lists for different groups. Maintains multiple contacts per student. Grants centralized control for updating contact information in a single location when combined with go.edustar. Offers availability as an independent/stand-alone product.